Selected entry requirements A level: Grades AAB-BBB. For Built and Natural Environments there are no subject requirements but it would be an advantage to have studied Geography or a related subject There are no additional requirements for entry into the Applied English Language area of study. If you have any queries regarding the suitability of your qualifications for entry to the Applied English Language area of study, please contact our Admissions Secretary. 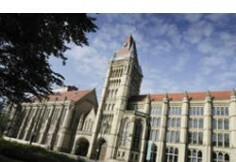 Unit grade information: The University of Manchester welcomes the provision of unit grade information which, like all other available information, will inform the consideration of applications. Unit grades will not normally form part of offer conditions, except for Mathematics programmes. Key Skills qualification: The University warmly welcomes applications from students studying the Key Skills qualification. However, as the opportunities to take these modules are not open to all applicants, currently this is not an essential requirement of the University. International baccalaureate: Contact us for further information. Additional entry requirements Additional entry requirements exist for this course. You may view these by selecting from the list below. Combined Studies offers you a degree which allows you to study course units from Arts, Humanities, Social Sciences and some Sciences. The degree is structured around a range of disciplines, and is therefore able to draw on a wide range of University Schools in order to make a wide selection of courses available to you. The structure of the degree is designed to provide both coherence and flexibility. The Built & Natural Environment study area enables you to select courses from Geography, Planning & Landscape, and Geology. Built & Natural Environment spans the divide between arts and sciences, allowing you to develop a broad but structured understanding of the global environment. Many of the course units offered have practical underpinnings and allow you to appreciate the local as well as the more global problems of environmental management. 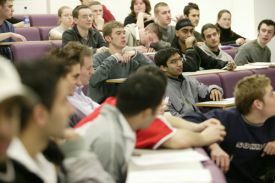 The Applied English Language area of study provides an opportunity for international students for whom English is a foreign language (EFL) to study English in the same way as they might study another foreign language, alongside theoretical linguistics and the more professionally oriented `sub-pathways' of Teaching English to Speakers of Other Languages' (TESOL) and Translation Studies. This area of study is only appropriate for students for whom English is a foreign language. If you are a native speaker of English you should consider the Linguistics and English Language area of study offered as part of a Combined Studies course. 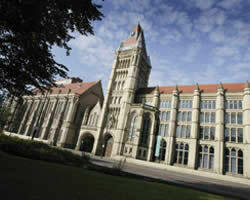 -Combine arts, social sciences and some sciences in a single degree programme. -Wide range of courses available. A degree in Combined Studies gives access to numerous possibilities for further study or training, and future employment: our students have become teachers, translators, journalists, social workers; have joined TV companies and multi-national firms; have entered, in fact, all the careers usually open to Arts and Social Science graduates. 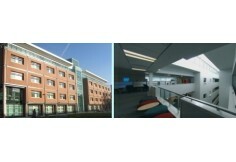 Many go on to postgraduate study. In our experience many employers look favourably on students who have demonstrated their abilities in more than one field. Course fees: For entry in 2008, the tuition fees are £3,145 per annum full-time for home/EU students, and £10,500 for international students.